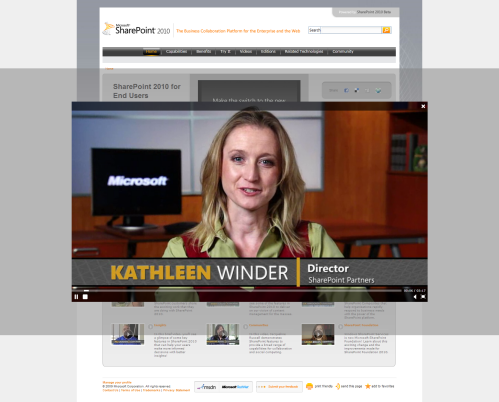 SharePoint 2010 Tip of the day : Display your movies in an overlayer using the out of the box SilverLight media player. Thanks to useful help of Jomit, I managed to add an overlayer for the video. There comes a nice overlay player when you click on a media (with one of the extensions specified as parameter) in that div. Quite easy, just add this in your xpath expression : [position() &lt; x] !